Savvy Spending: Free Redbox DVD, Blu-Ray, or Game rental with text! 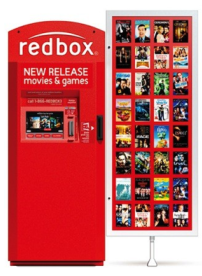 Free Redbox DVD, Blu-Ray, or Game rental with text! For a limited time, you can get a FREE Redbox DVD, Blu-ray, or Video Game Rental when you text the word VALPAK to 727272. Your promo code is good through February 28th and is valid for one-time use!